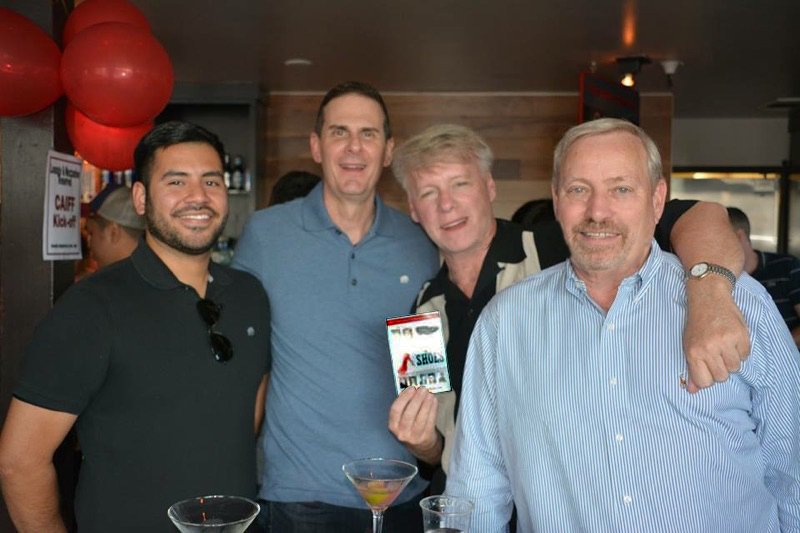 Castro Showing – Do You Have Your Tickets Yet? 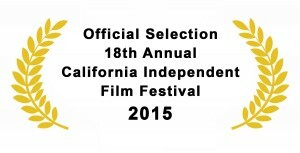 The Castro Theatre CA premiere for the CA Independent Film Festival is coming up! Do you have your tickets yet? You can get them by clicking on the button at the top of this site. It is only 10 DAYS away! 3:00pm on September 12th. New music, new look, and new sound! Come and be apart of the fun. My Brother’s Shoes has a Theme Song!! Our composer, Jordain Wallace, with his beautiful date. 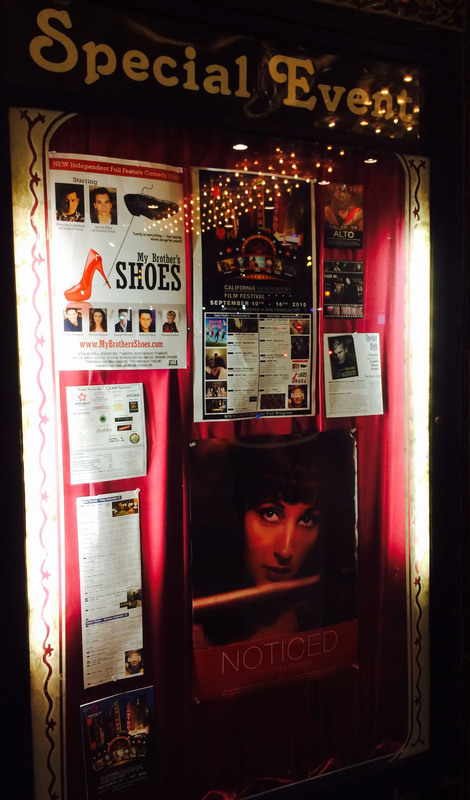 With only 2 WEEKS until the showing of My Brother’s Shoes at The Castro Theatre in San Francisco on Sept 12th at 3:00pm – not only are we excited to show the new re-mastered re-mixed version with more orchestrations – BUT – we now have a Theme Song for our movie. There is a common theme played throughout the movie, but now – you will get to hear it sung by Jethro Patalinghug. This is an original song written and composed by our talented composer Jordain Wallace. The name of the song is “Stronger Now” and it will have you tapping your toes and feeling inspired by the lyrics and the beat! We can’t wait for you to hear it! Don’t miss out! Get your tickets NOW!! Preview Party for CA Indie Fest featuring our film! It is only 15 DAYS until the next showing of the remastered version of “My Brother’s Shoes” at the Castro Theatre in San Francisco on Sept. 12th at 3:00pm. Last night I got invited to attend a promotional party for the CA Indie Festival featuring our film! There was food, drinks, fun people, and great conversations. Our trailer was playing on all the monitors. More tickets were sold. I was asked to talk about the film and how it came about. After only two Cosmopolitans, I think my speech came out pretty well. 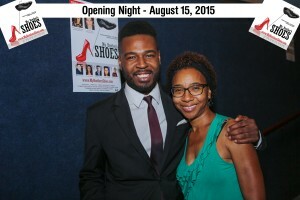 We got to meet Jay Anderson who is sponsoring our film for the Festival. Each film has a financial sponsor and Jay is ours. He is not only sponsoring it, but selling tickets and getting the word out to his wide circle of friends in the Bay Area. 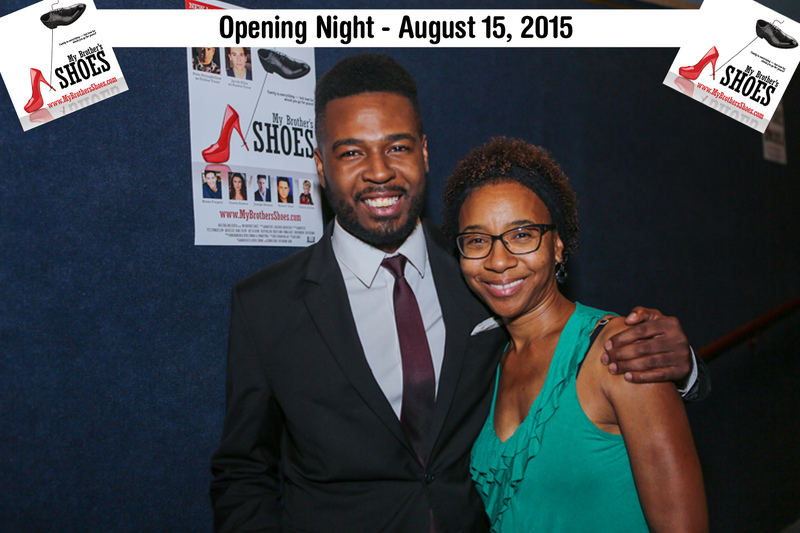 The theatre holds about 1,800 seats and we want to FILL THEM ALL!! Who-hoo! Thanks to Derek Zemrak for the invite and introducing me around to everyone. And thanks to a sleepy Ron Robinson who braved staying up so late!! 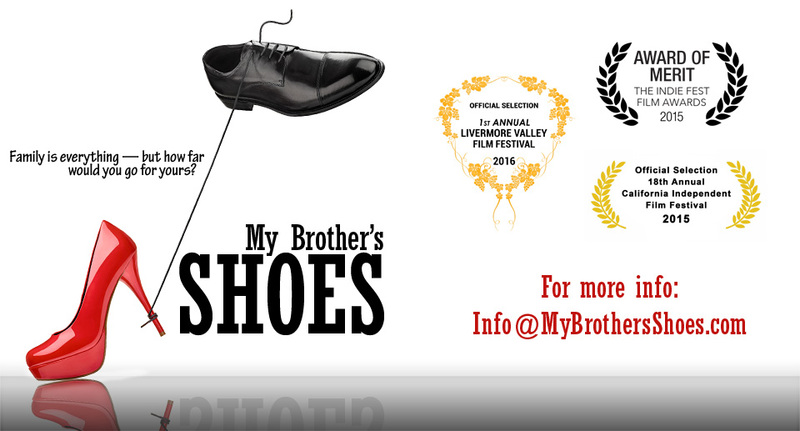 Get your tickets NOW at www.MyBrothersShoes.com and click on the button on the right. And DVD’s are on pre-order. We will be creating Blu-Ray so the film on DVD will look awesome!